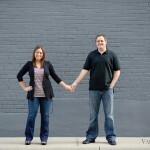 I was waiting for the perfect time to post these awesome engagement portraits of Sharisse and Preston! If you have followed my blog you can see a bit of a difference here! I decided that a fresh new look was needed!!! I LOVE it!! and I hope everyone else does too!! Thank you Celina Gomez for helping me! I could not have done it without you!!! LOVE YA!! !